Martha Rose Construction leads the home building industry by building Green High-Performance Homes. 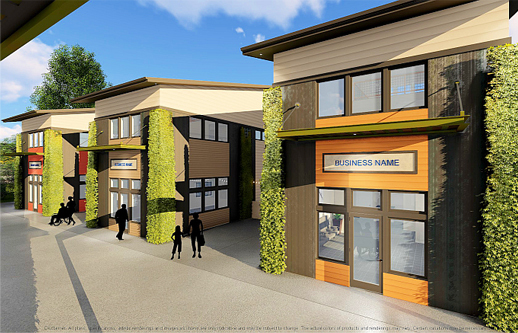 – we build cutting edge High-Performance Homes utilizing the “whole house” approach to design, building science, and construction. 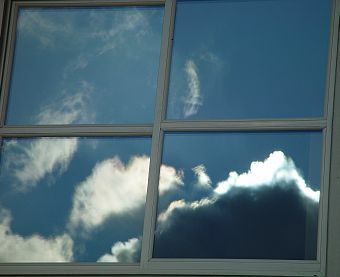 Through ongoing education and research we can provide you with value and energy savings unmatched. I guarantee it. energy than they consume. Through proper design, engineering and construction this goal can be achieved. 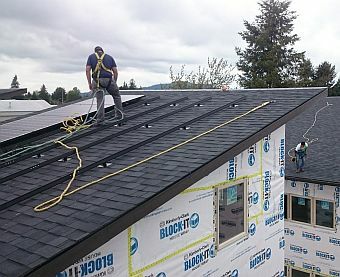 research and inquiry, we strive to learn and develop the best techniques for meeting or exceeding net zero energy use. freedom from toxic materials and a constant supply of fresh air. 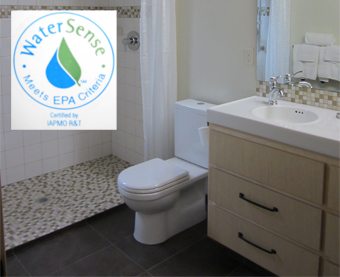 As the housing industry transforms, water and material consumption will be recognized as part of the energy equation. This paradigm shift must occur not only during the construction phase but extend through the home's habitation. The standards of the future are the practices that Martha Rose Construction employs today. What Makes a High Performance Home? 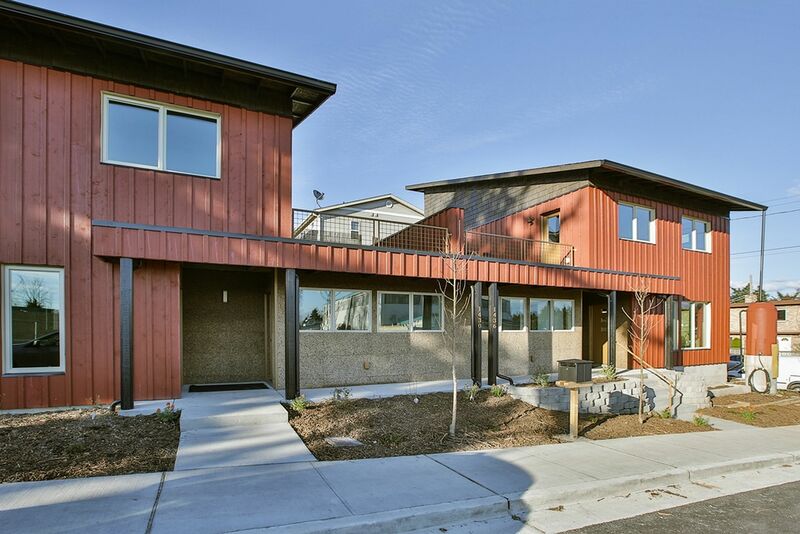 A High-Performance Home is a "house built as a complete system". The components all work together to make the home more comfortable, healthy and less expensive to live in. 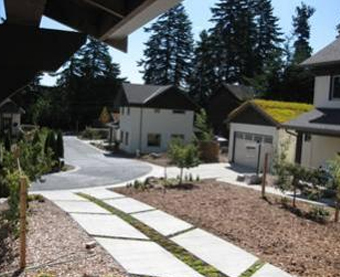 Green Building, Energy Efficiency and Sustainability are the cornerstones of a High-Performance Home. 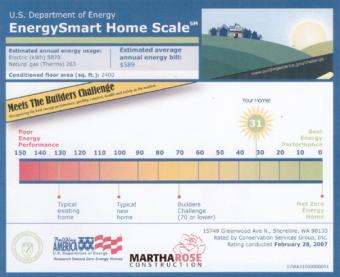 At a glance, it is easy to see a home's projected energy performance as compared with known benchmarks. We want your energy consumption to be as low as possible. All of the homes Martha Rose Construction builds are pre-wired for PV (photovoltaics) and many of them have the solar panels installed. The goal is to enable you to live in a net-zero home that produces as much power as your home needs on an annual basis. 3. Simply put, L.I.D. purifies storm water by allowing the rain to be absorbed on-site using a variety of systems that mimic the natural forested condition. Techniques include infiltration basins, vegetated roofs and native landscaping. 4. 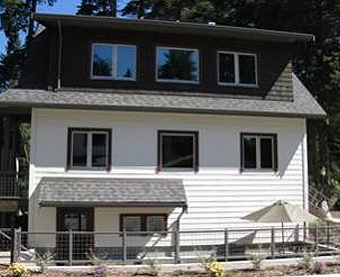 A passive solar home is insulated and air-sealed well beyond code, which allows the home to stay cool in the summer and warm in the winter with only a modest amount of heat.. 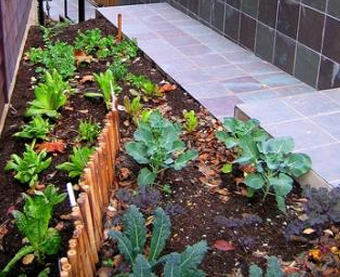 Kitchen gardens are a practical option for the city dweller. Natural landscaping using organic methods and local plants is low maintenance and environmentally friendly. 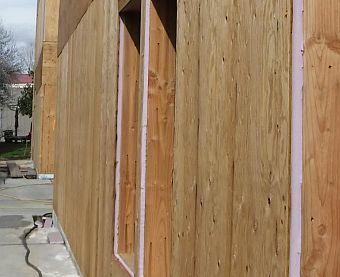 The cornerstone of my insulation strategy utilizes 1” of foam sandwiched between the 2x6 frame and the exterior plywood. This thermal break shear wall has multiple benefits including better seismic performance. Triple-pane windows and insulated exterior doors are two components of City Cabins high performance homes. Enjoy excellent comfort with a draft-free home. It’s not good enough to be pretty to look at. Plywood can be found that is made with non-formaldehyde glue. 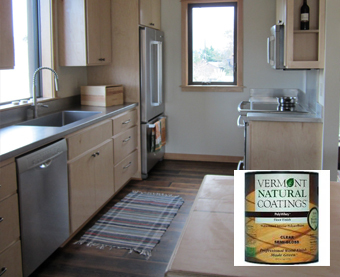 Vermont Natural Coatings is a finish that is made with whey from the dairy industry. It is non-toxic and durable. Materials that are sourced locally are incorporated every step of the way. 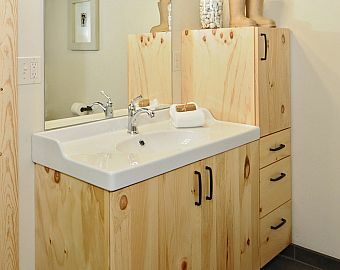 In this example, pine harvested regionally is used in these custom cabinets made by a small shop just outside of Seattle. 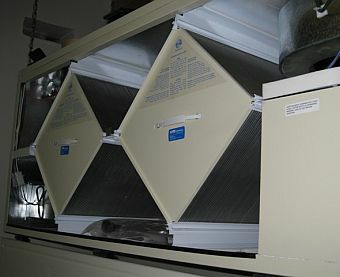 The little known whole-house ventilation system, known as an HRV (heat recovery ventilator) ups the ante in promoting good health. This machine provides five fresh air changes every day in the entire home, and maintains humidity between the desired 30% and 50% range. 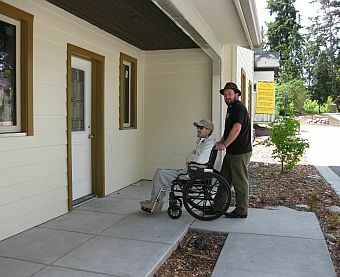 Whether it’s a child in a stroller or your dad in a wheelchair, an entry that is flat or gradually sloping, opens the door to hospitality for any age and capability. Then once inside, a ground floor bath and bed area will allow you to stay in your home as long as you want. We all have our journeys of a thousand miles, and we all have our first steps. As you explore the MRC site, you'll find many steps here. You'll see our past home-building projects. You'll find our current projects. You'll find resources that we use ourselves, and you'll learn as we learn. 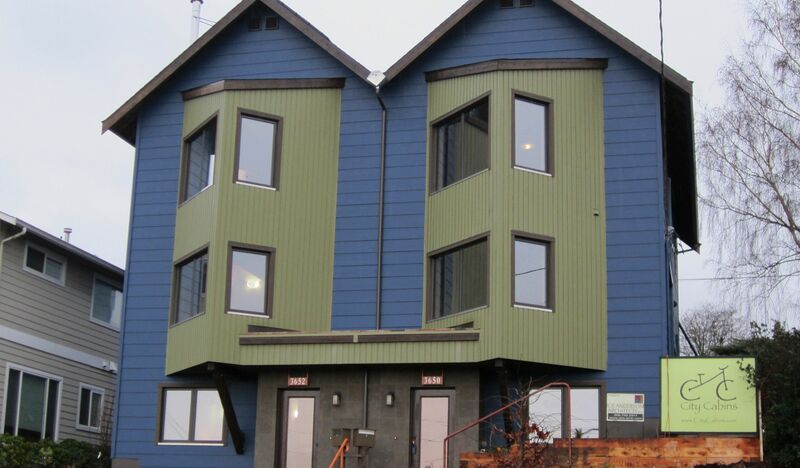 You'll share our discoveries, innovations and refinements as they happen as we build affordable, green homes. You may have found your way here through a news article about Martha. Or perhaps by the recommendation of a friend. Or someone in the Green-building community. Or perhaps by a search engine. Regardless of how you came, it really only matters that you're here. It's a first step. And we're delighted you're taking it with us. And should you end up living in one of our green-homes, all of this will resonate for you in an even more personal and useful way. But even if, right now, you're not looking to buy a home, please know that this Martha Rose Construction site is for you. Every day, we're all learning, and this site will hopefully reflect and expand on that growth.